This morning I asked my son to tell me a story. Once upon a time, there was a princess. And the princess was called Princess Daddy. 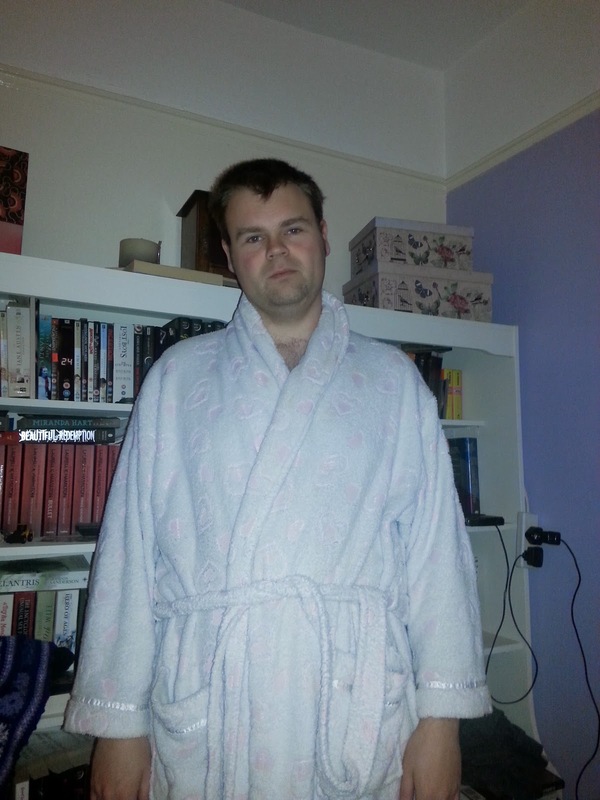 Princess Daddy wore a white and pink dressing gown with little hearts on. Yes, he does. In my defense... actually,scratch that. I have no defense. Princess Daddy likes eating peas. Princess Daddy went on a blue and white boat, and sailed through the clouds to the sky! Then he had a wee. He's got a bright future as an awesome storyteller ahead of him. It is an honor to be Princess Daddy, Mike, you should be proud! Your son can definitely spin a yarn, Princess Daddy. Cute, Mike!